Another walk – and a twenty minute run (hurrah!) on a lovely sunshiny afternoon. I took my camera, which was a bit of a hindrance while running, but it was good to keep a record of some of the natural wonders I saw. 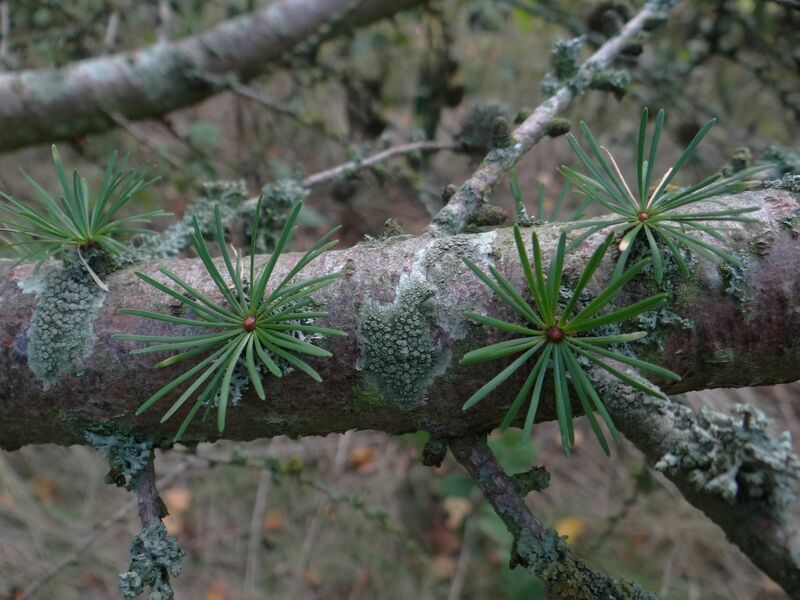 I loved the look of these rosettes of leaves growing directly out of a larch branch – and the lichen too. Leaf rosettes growing directly out of a larch branch. 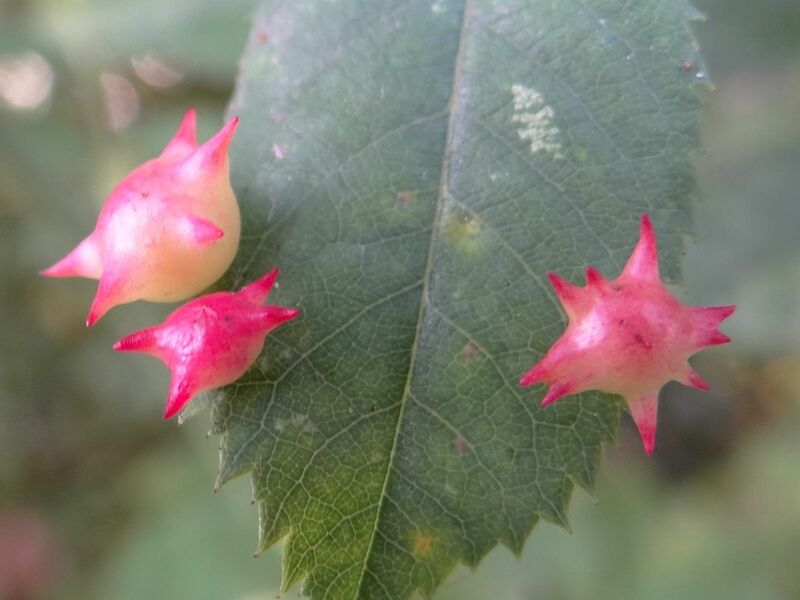 These are galls caused by a gall wasp, Diplolepis nervosa (according to Britain’s Plant Galls by Michael Chinery), and are called either Sputnik Galls or Spiked Pea Galls. Sputnik does it for me. Aren’t they gorgeous? Categories: biodiversity | Tags: biodiversity, Diplelepis nervosa, gall wasp, larch, lichen, michael chinery, natural wonders, plant galls, slow running, spiked pea gall, sputnik gall, wasp | Permalink.